Added on 21 June 2018 . By Olivia Cheves. Edinburgh Cocktail Week returns this autumn, with over 80 bars taking part. Following on from the success of last year's event, the Edinburgh Cocktail Week will be making a splash again this autumn, but this time it's even bigger. Running from the 15th to the 21st of October, more than 80 bars from across the city will be taking part, offering signature cocktails for just £4, including Le Monde, Angels Share, The Refinery, and many, many more. The same deal will be available over in Festival Square where organisers are planning to pitch up a Cocktail Village tent, housing some 15 pop-up bars and decked out with giant trees, tables and funky lighting for a festival atmosphere. The Village will also act as a social hub for hanging out with friends, and listening to live music and DJs before hitting the bars. 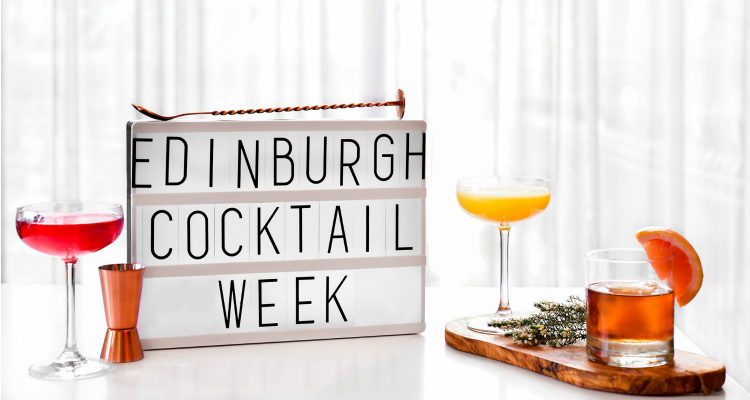 Edinburgh Cocktail Week takes place from the 15th to the 21st of October in Festival Square and across Edinburgh. Wristbands are £6 for weekdays, £8 for weekends and £65 for the entire week.